Conjugated linoleic acid (CLA) encapsulated in special softgel capsules which significantly slow the degradation processes of the active substances and thereby increase their natural durability and stability. 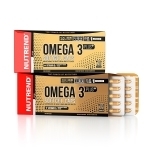 Conjugated linoleic acid (CLA) encapsulated in special softgel capsules which significantly slow the degradation processes of the active substances and thereby increase their natural durability and stability. 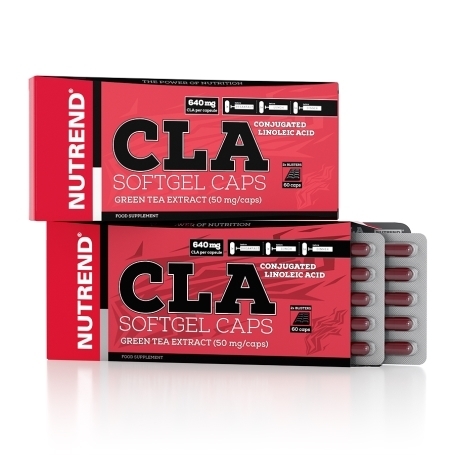 Along with green tea extract, which promotes natural immunity, maintains normal cholesterol levels and promotes fat metabolism, the conjugated linoleic acid (CLA) is a very effective combination. Soft gel capsules are easily absorbable by the organism and contain 640 mg of CLA per capsule and additionally 50 mg of high-quality green tea extract. Recommended dosage: 1 capsule 3 times daily, preferably 30 minutes before a meal. The maximum daily dose is 3 capsules. Do not exceed the recommended dosage. Does not replace a varied diet. Not intended for children, pregnant or nursing women. Keep out of reach of children! Store in a dry place at the temperature that does not exceed 25 °C and away from direct sunlight. Do not freeze. The producer is not liable for any damage caused by improper use or storage. Ingredients: CLA – conjugated linoleic acid 80 %, gelatine capsule (beef gelatine, humectant glycerine, water, colouring agents E 172 and E 120), coconut oil, green tea extract (95 % of polyphenols), palm oil, emulsifier soy lecithin, anti-caking agent silicon dioxide. The product contains allergen soya.